We have been trying hard to get our finances in order this year. My husband is in sales and works on commission, and I am self-employed running this blog, so our financial situation varies a lot from month to month. We have been paying down our debt so hopefully, in the next few years, we can move to a property with a lot more land. However, being in the trenches of paying off debt can be a little dreary and exhausting. I wanted a way to brighten all our spirits, so I created a clay pot savings jar for us to put our loose change into to save for a little adventure of some sort. This post contains affiliate links. If you purchase something through the link, I may receive a small commission at no extra charge to you. Please read my full disclosure policy here. Thank you to Cricut for providing me with a machine. Start by painting your clay pot with acrylic paint. I chose a pretty aqua color. Allow it to dry. Add additional coats to cover. I used two coats of paint and had good coverage. While the paint is drying, use your drill and a drill bit slightly larger than the screw on the glass knob to drill a hole in the middle of the glass jar lid. Attach the glass knob to the metal lid of the glass jar. Note: I didn’t worry about sanding down or evening out the rough edges from drilling since my knob and the washer covered it. Yours may be different, so be sure there are no rough metal edges sticking out. Next, cut out the glitter vinyl design using your Cricut machine. Once the designs are cut out weed the vinyl using a weeding tool. Apply the vinyl design to the pot and the glass jar using strong grip transfer tape. Helpful tip: I found it easier to cut apart the design and work in small sections to apply the world map to the clay pot. Since the pot is rounded and goes from narrow at the top to wider at the bottom, it can be hard to transfer large pieces of vinyl. 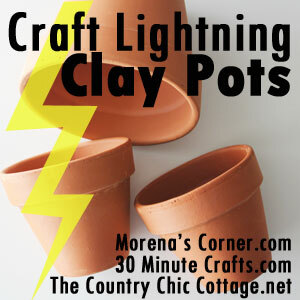 Use a strong adhesive to apply a layer of glue to the clay pot and secure your glass jar to the pot. Now our jar is ready to add in loose change or extra money we have left over at the end of the month that isn’t being applied to our debt. This simple design would work great for any kind of savings, but also you could change up the vinyl and use it to store craft supplies, candy, or just about any small item. Fabulous idea Laura! Thanks for joining!